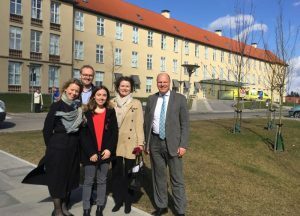 HOSPEEM visited its Danish member organisation Danish Regions on 22 March in Copenhagen. 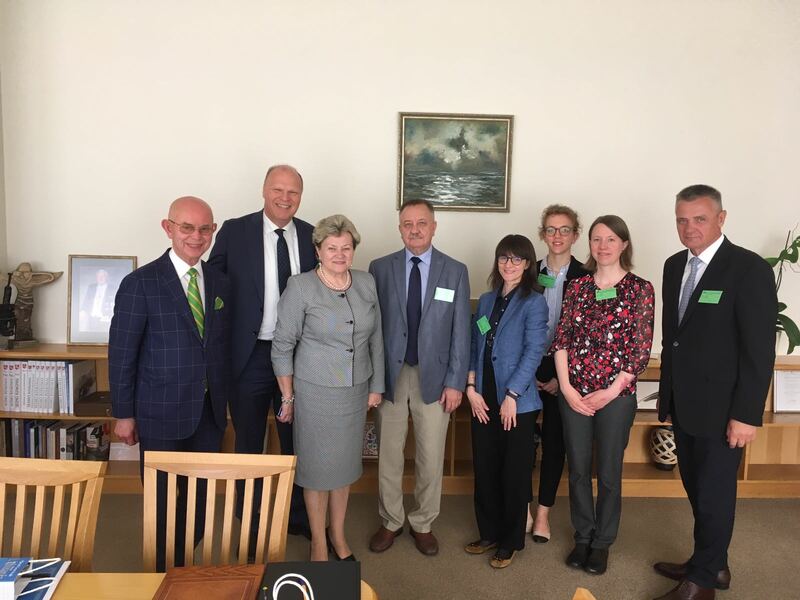 A meeting at Danish Regions provided the opportunity to discuss about their activities and current priorities and to exchange on the Danish healthcare system and on the most prominent challenges in the hospital and healthcare sector in Denmark. We in particular exchanged about the Danish value-based healthcare initiative and the “Sundheds platform”, a new digital healthplatform gathering all information about each patient in a single electronic set of medical records, being implemented in Danish hospitals. During this study visit, HOSPEEM also had the opportunity to exchange about assessment of skill needs and cross-sectoral competence development. 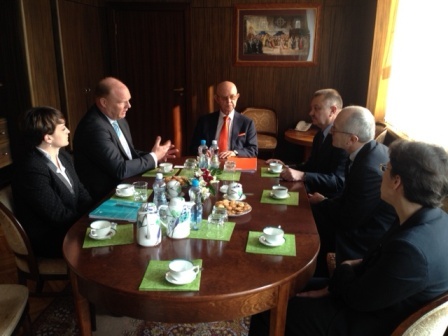 Working hour arrangements and how they affect workers’ health were also discussed. HOSPEEM would like to express its sincere thanks to Malene Vestergaard Sørensen, Eva Weinreich-Jensen and Morten Slabiak for the warm welcome and the enriching and fruitful exchange. We would also like to thank warmly Signe Friberg Nielsen, Pernille Moll, Jette Steenberg Holtzmann and Anne Helene Garde for their very enlightening contributions. 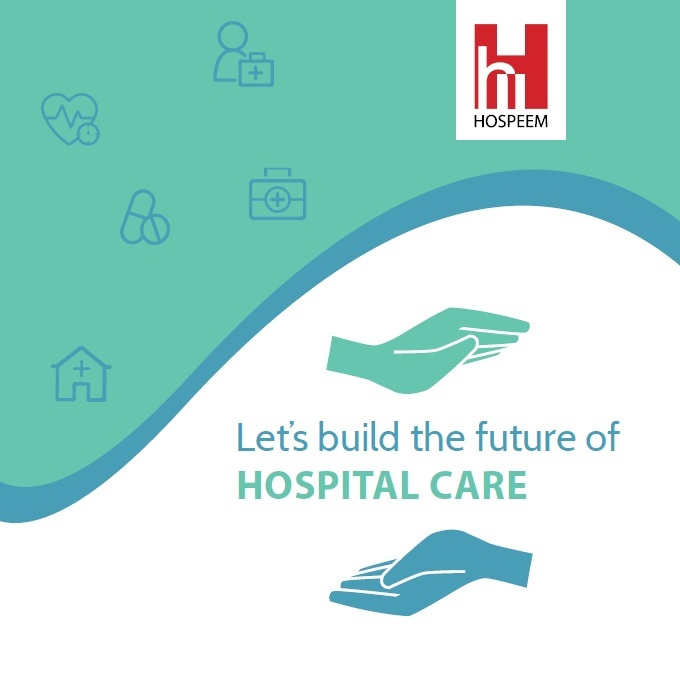 In the years to come HOSPEEM is looking forward to represent the interests of hospital and healthcare employers across Europe and to further build the future of hospital care. As an independant, membership-based organisation and as recognised social partner, HOSPEEM has a distinct voice influencing EU-policy making. At the occasion of its 10th anniversary in 2016 HOSPEEM published the first HOSPEEM brochure. 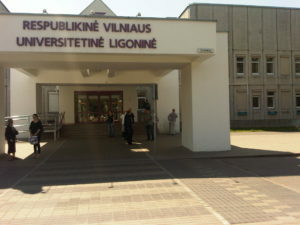 In this brochure you will find information on the mission, the history, the members, the core focus areas and ten years of achievements of the organisation. 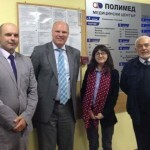 HOSPEEM visited its Italian member organisation ARAN – Agenzia per la Rappresentanza Negoziale delle Pubbliche Amministrazioni – on 14 April in Rome. A meeting at ARAN provided the opportunity to discuss about their functioning and activities and to get an insight into the system of public bargaining in Italy. This meeting also provided the opportunity to exchange about the impact of the economic crisis on the public administration and the most prominent challenges in Italy, such as the reform of the public administration, the reduction in public spending and the improvement of the efficiency of the public administration. 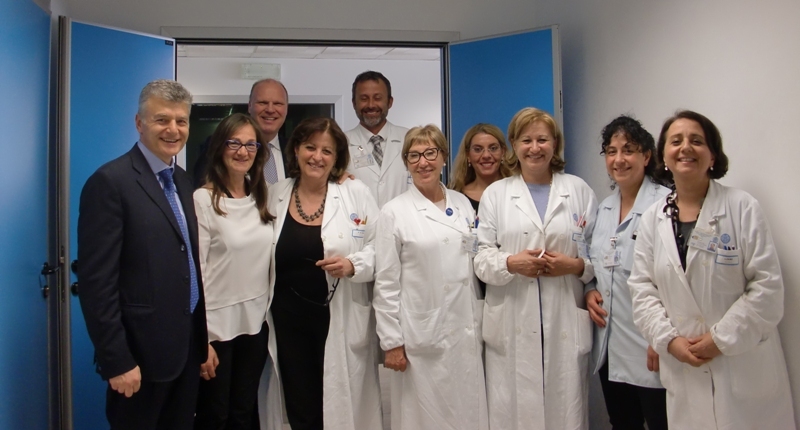 The afternoon was dedicated to a visit to the Agostino Gemelli Teaching Hospital, one of the largest teaching hospitals in Italy, with more than 1,500 beds and over 5,000 health professionals (of which 1,700 nurses), connected to the medical school of the Catholic University of the Sacred Heart. 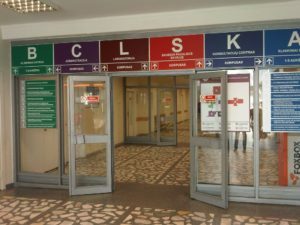 On this occasion, HOSPEEM had the opportunity to visit the neonatal intensive care unit and the new clinical laboratory, using an automated system working 24 hours a day and receiving the tubes from all the departments of the hospital. 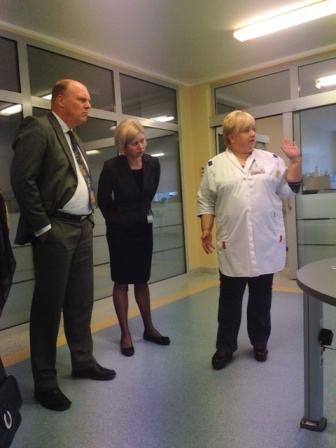 It was also very interesting to hear about the model developed by the Gemelli Hospital to ensure continuity of care for fragile patients. 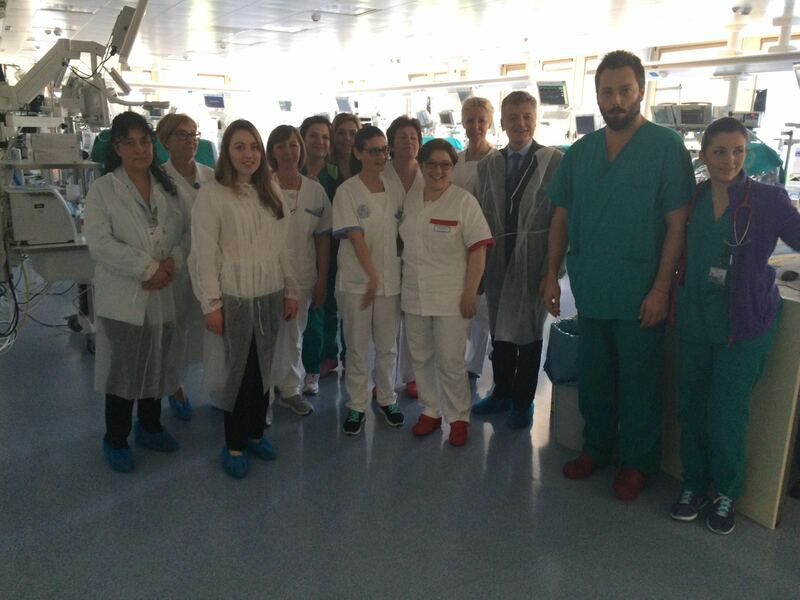 HOSPEEM would like to express its sincere thanks to Sergio Gasparrini, Marta Branca, Elvira Gentile, Gianfranco Rucco and Pierluigi Mastrogiuseppe, as well as to Maurizio Zega and the staff of the Agostino Gemelli Teaching Hospital for the warm welcome and the enriching and fruitful exchange. The Commission for Local Authority Employers – CLAE (or Local Government Employers – LGE / KT Kuntatyönantajat) is the Finnish member of HOSPEEM. CLAE has been functioning since 1970, representing all Finnish local and joint municipal authorities. Finland has 317 municipalities and 125 joint municipal authorities. These local authorities employ about 429 000 employees, a fifth of Finland’s employed labour force. More than 80% of all local government personnel work in the health care, social services and educational sectors. CLAE (or LGE) is an interest organisation for local government employers representing all Finnish local and joint authorities. It negotiates and concludes collective agreements in the local government sector. 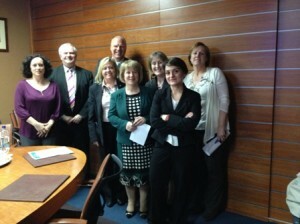 CLAE has a key role in improving performance and the quality of working life. Municipal public health work is the foundation of the Finnish health system. 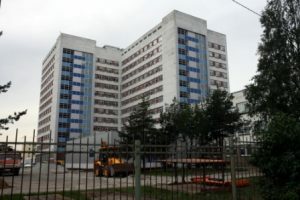 Hospitals run by joint municipal authorities provide 95 per cent of all specialist medical care and the remaining 5 per cent is provided by the private sector. Read more. 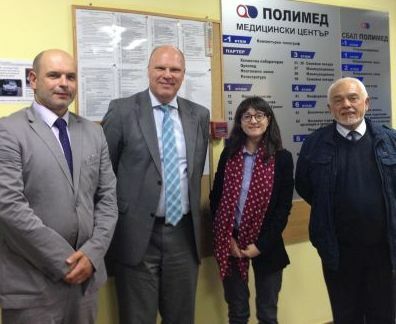 HOSPEEM visited its French member’s organisation, the Federation of private not for profit healthcare institutions and care services – FEHAP on 26 March. A first meeting at FEHAP provided an opportunity to exchange on their current priorities and challenges and discuss some EU topics and initiatives. HOSPEEM also had the chance to meet with Pascale Flamant, the General Delegate of UNICANCER, the French Federation of Comprehensive Cancer Centers. The afternoon was dedicated to a visit of the hospital Saint Joseph, a private not for profit hospital member of FEHAP, with almost 2200 employees and a reception capacity of more than 600 beds and dealing with 25 medical and surgical specialties. 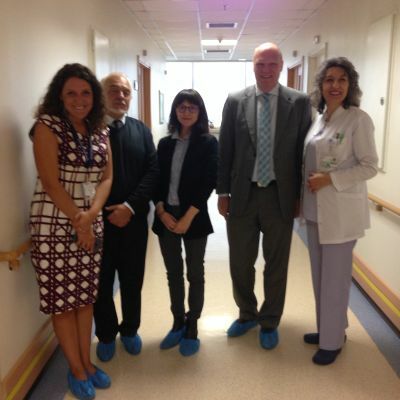 HOSPEEM had the opportunity to meet with the Director General and the Human Resources Manager of the hospital. It was particularly interesting to hear about their quality approach and risk management policy and their innovative human resources policy, especially the experience of training of the management team. HOSPEEM would like to thank Coralie Cuif, Sylvie Amzaleg, Pascale Flamant, Olga Ville and Laetitia Tibourtine, as well as the hospital Saint Joseph, for the warm welcome and the fruitful exchange.